Seriously, someone take my television away from me. I can’t stop watching the Olympics. Or checking scores online. Or looking on my iPhone for Ryan Lochte’s latest tweets. I woke up early on Sunday after staying up until midnight (watching the Olympics, of course) and turned on my television which was showing the Women’s Cycling Road Race. I’ve never watched a bicycle race in my life because I never cared to, but there I was, sucked right in. Seriously. Someone stop me. 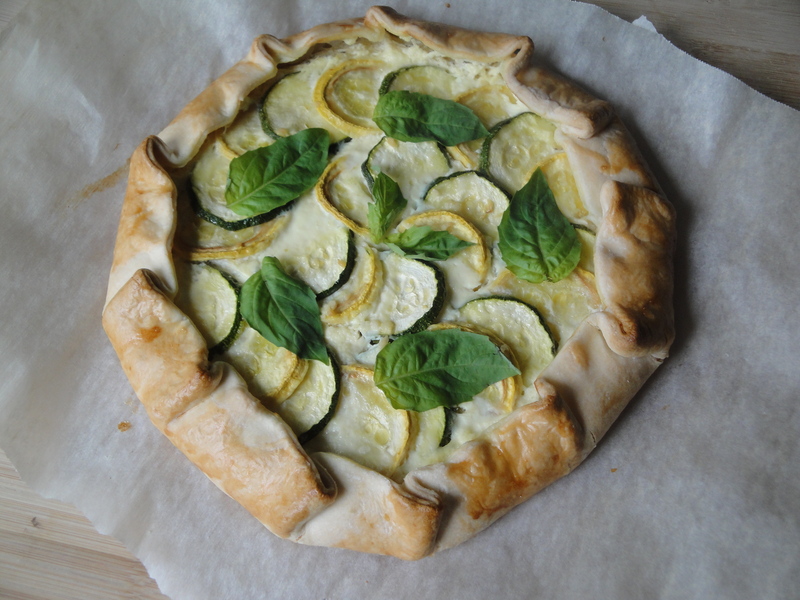 After ignoring my growling stomach and caffeine addiction, I finally decided to take a break during volleyball to make Summer Squash and Ricotta Galette, one of the best dishes I’ve ever made, hands down. 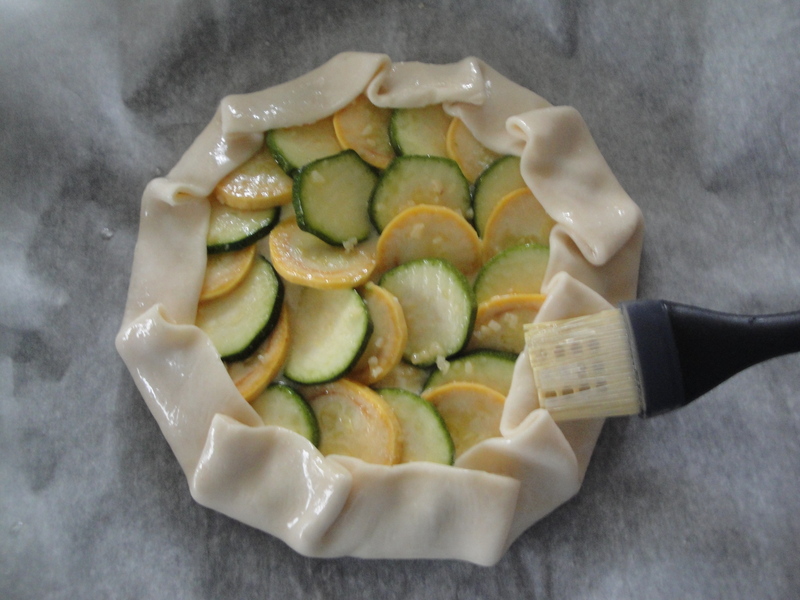 Zucchini, summer squash, garlic and olive oil are tossed together and placed over a mixture of ricotta, parmesan cheese, egg, fresh thyme and lemon inside a buttery pie crust. After baking and slightly cooled, fresh basil leaves tops the dish to add yet another fresh element. I used a store-bought pie crust as opposed to making my own dough as shown in the recipe, simply because my food processor is broken and I’ll take a short-cut when I can anyway. Not to mention that I would probably eat dirt and dandelions if it was served inside a pie crust. Don’t judge. 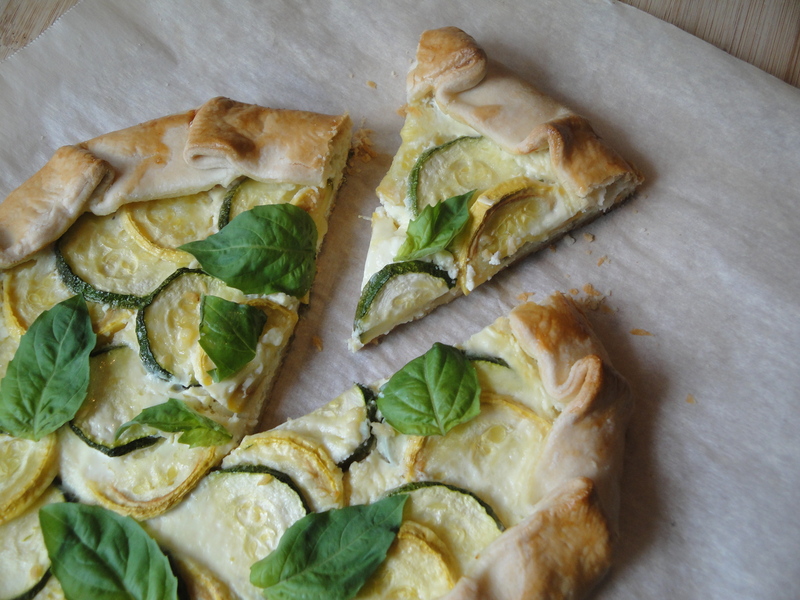 The pie crust is flaky, the ricotta perfectly lemony, and the vegetables tender and sweet. Using this ricotta mixture, I plan on making this again and again, using whatever veggies and herbs I have on hand. Broccoli, spinach, red pepper, asparagus and/or tomato would also make an excellent galette. The problem with this dish is that it’s hard to just eat one wedge because it really is so good. It deserves a gold medal. Sorry, I had to, you know I’m cheesy. And yes, Ryan Lochte, I now consider myself a Lochtenator. 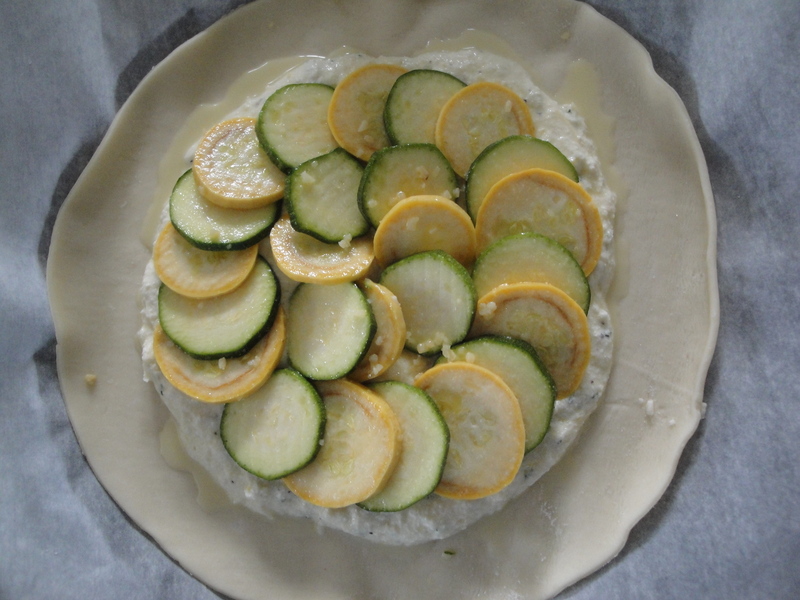 If you like this, also check out Rustic Summer Squash Tart. Combine olive oil, zucchini, squash, and garlic in a large bowl. 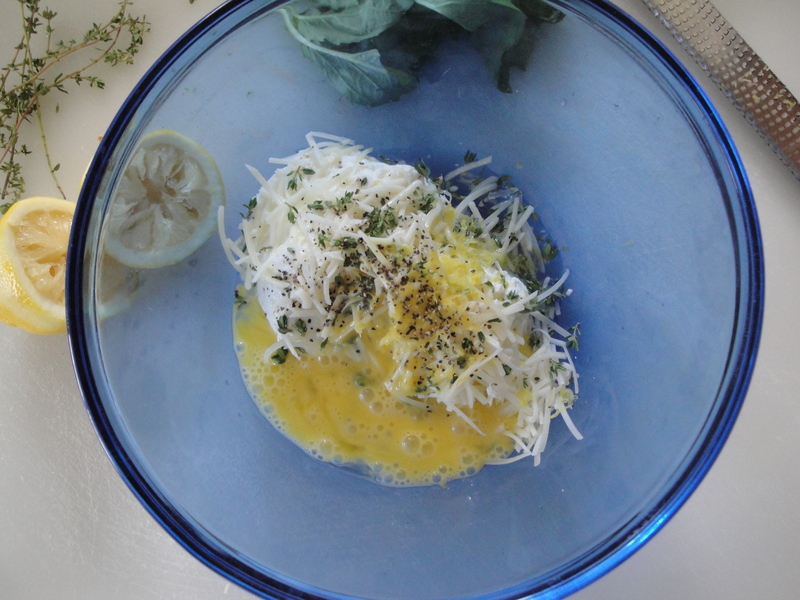 Stir together ricotta, parmesan cheese, thyme, lemon zest, lemon juice, black pepper and egg in a medium bowl. 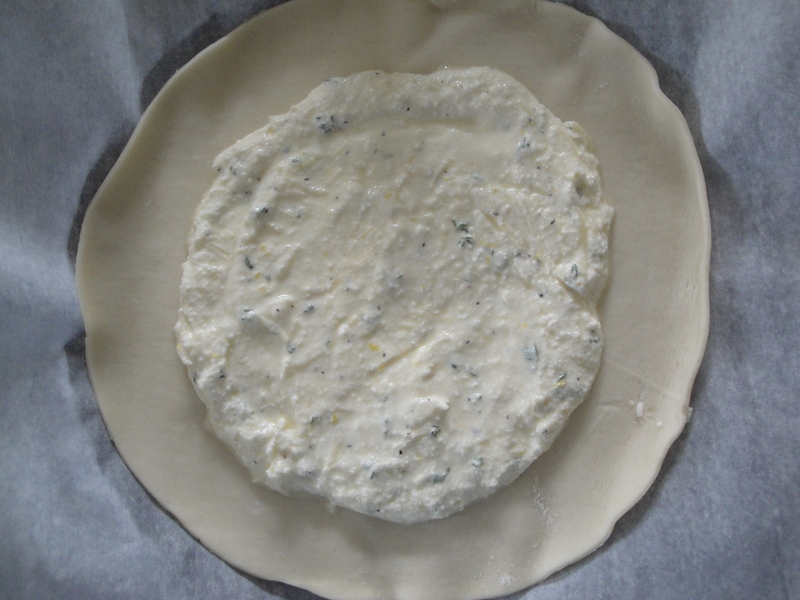 Place pie crust dough on a baking sheet lined with parchment paper. Spread ricotta mixture over dough, leaving a 2-inch border. 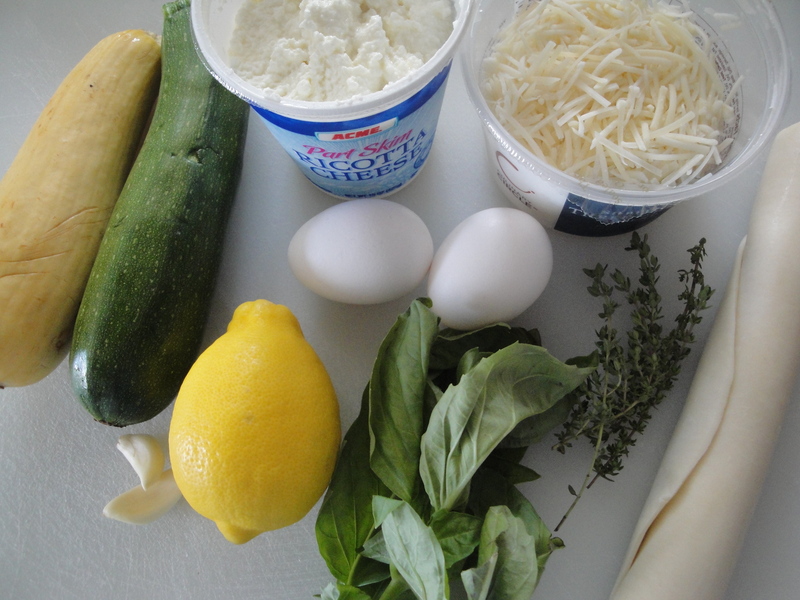 Arrange zucchini and squash slices alternately, slightly overlapping, in a circular pattern over ricotta mixture. 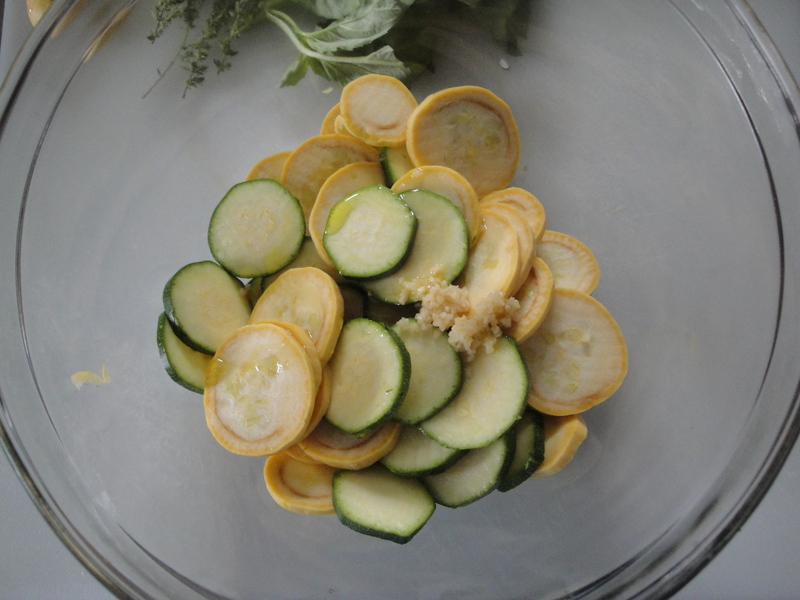 Sprinkle zucchini and squash with salt. Fold edges of dough toward center, pressing gently to seal. In a small bowl, whisk together 1 teaspoon water and egg white and brush mixture over dough edges. Bake in a 400°F oven for 40 minutes or until golden brown. Allow to cool for 5 minutes and sprinkle with basil. Cool an additional 15 minutes. Cut into 6 wedges. Delicious twist on summer squash! I bet you could do the same with zucchini or even a combination… Thanks for sharing. It has zucchini in it! Making this with all zucchini or all summer squash would be great too!